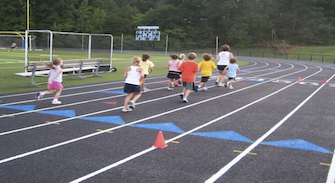 Please come join the Annapolis Striders in a fun, low-key kids running/exercise summer program. The kids will “graduate” by running the John Wall Mile race. Open to 5-9 year olds, and 10-14 year olds whose parents are Annapolis Striders Members. Annapolis Striders training classes are a free benefit for members. In order to participate in this training class, you must have a current membership. You may become a member or renew an existing membership online or by mail-in form. Training coaches are not able to accept membership signups at training sessions. To complete a one mile race.